Purportedly, the corset was the brainchild of one Catherine de' Medici, a member of the legendary Renaissance-era clan and the wife of King Henry II of France. De' Medici enforced a ban on thick waists for those attending her at court in the mid 1500s—and thus the corset came into fashion, creating an hourglass silhouette with its architecture of lacing and whalebone stays. 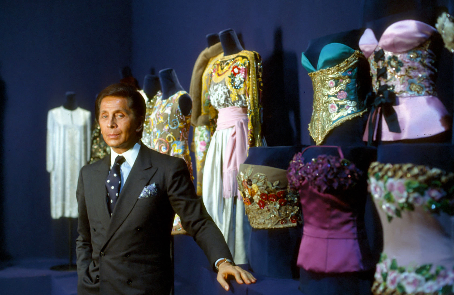 Of course, the corset was no longer de rigeur by the time Mr. Valentino launched his career as a designer. But he proved himself a master of the form in his Haute Couture collection for Fall/Winter 1989-90. Tailoring replaced whalebone here, in one of Mr. Valentino's most iconic outings, which featured a bevy of stunning corset-inspired bustiers. The look is back in fashion today, but no one will ever better creations by Mr. Valentino such as his lilac-tinted bustier with heart-shaped décolleté, floral embroidery, and a neat little bow across the waist. Another stunner? The black-and-white striped bustier with ribbon lacing down each side and cups embroidered to look like so many blooming roses. A little Toulouse Lautrec, that piece, and just as sensuously expressive. 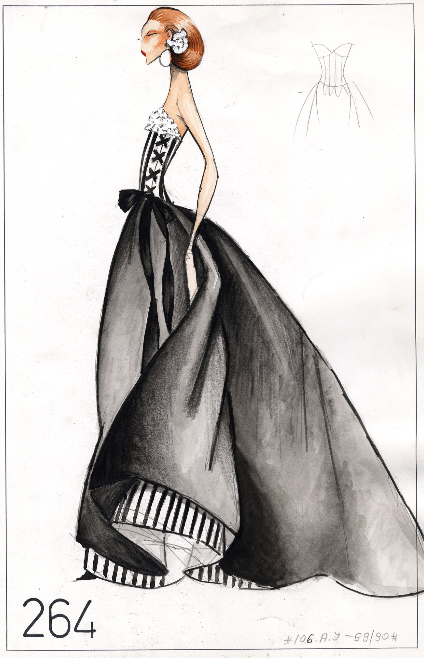 The Haute Couture Fall/Winter 1989-90 collection also featured several stunning gowns with corset-shaped bodices. One of the standouts was Mr. Valentino's column gown in black velvet, with a diving sweetheart neckline and the skirt fanning out as it descends. Elegantly waisted, indeed.